The purpose of genome-wide survey of cancer cells is the identification of driver mutations which are key to the development of cancer at the cellular level. Cancers arise due to alterations in DNA. Some cancer causing mutations are present in the germ line. They are therefore heritable and confer an increased risk of developing cancer at a younger age, often manifesting as inherited syndromes. Many mutations, however, occur and accumulate over the course of a person’s lifetime in individual cells of the body. These are known as somatic mutations. The cataloguing of driver mutations in cancers will pave the way towards the discovery of novel and more effective ways to treat cancers. 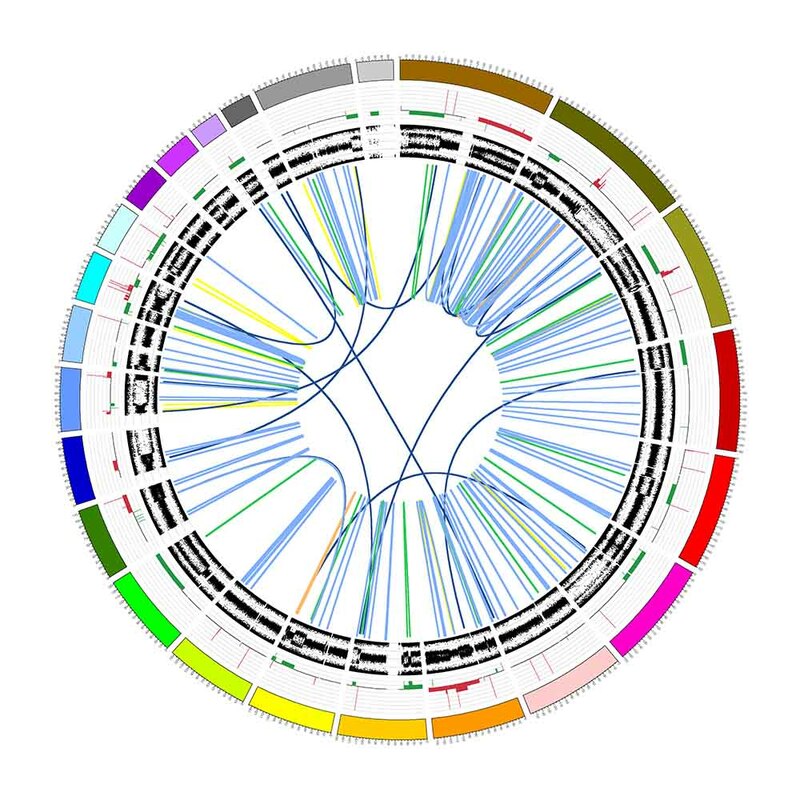 Within each cancer genome, a subset of somatic alterations are driver mutations in cancer genes which cause the cancer to develop. The search for cancer genes and the driver mutations within them has been a central aim of cancer research for 30 years and more than 300 genes have already been identified in which somatic alterations are associated with cancer. The study of these cancer genes has generated most of our biological insights into the process of oncogenesis. Cancer genes and the pathways in which they are involved have been used successfully as the targets for the development of new therapeutic agents. Cancer genomics also carry passenger mutations, which do not contribute to the neoplastic phenotype and are not associated with selective growth advantage. They can, however, constitute a molecular record of each cancer’s evolutionary past, reflecting past mutagenic exposures and intrinsic defects of DNA repair. As a result, they can inform powerfully on the aetiology of individual cancers. At the APGI, our aim is to comprehensively catalogue the genomic and epigenomic alterations in pancreatic cancer, and hopefully provide further insights as to the common driver and passenger mutations in pancreatic cancer. Current evidence indicates that our understanding of patterns of somatic passenger mutation in cancer is at an early stage and that there are many cancer genes still to be identified. Establishing a complete catalogue of somatic genetic changes in individual cancers will therefore reveal the full set of driver mutations and cancer genes that are operative in each type of cancer. It will also reveal the full set of passenger mutations and hence yield insights into underlying mutational processes, including exposures to UV irradiation and DNA repair defects. Recent additions to the therapeutic arsenal used to treat cancer increasingly incorporate chemotherapeutics which target common driver mutations elucidated in different cancer types. These include therapeutic monoclonal antibodies for breast cancer with amplification of HER2/NEU, and small molecule inhibitors for chronic myeloid leukaemia carrying a BCR/ABL translocation or for lung cancer with EGFR mutations. An understanding of and attention to the underlying genetic diversity in cancer is, therefore, likely to increase the success of new cancer modalities in the future.